Goodreads: Blaine McCracken pulled off the impossible on a mission in Iran, but his work has just begun. Returning to the US, he faces another terrible threat in the form of Reverend Jeremiah Rule, whose hateful rhetoric has inflamed half the world, resulting in a series of devastating terrorist attacks. But Rule isn’t acting alone. A shadowy cabal is pulling his strings, unaware that they are creating a monster who will soon spin free of their control. Kritters Thoughts: A political thriller with a lot of locations, a lot of characters and a lot of short choppy chapters. Blaine McCracken is the main character, but there was a large host of other characters that were vital to the story and without them all the pieces wouldn't connect, but it was awfully hard to keep them all straight and to remember what side of the equation they were on. With many characters all living in different locations, this book hopped country and states often. From Iran to Washington, D.C., there were a lot of moving parts. I wish that it had been easier to read. As far as the chapters, I felt as though they were maybe edited a little choppy and if some had combined to keep the story moving forward, I could have been more hooked and flipping pages much quicker. 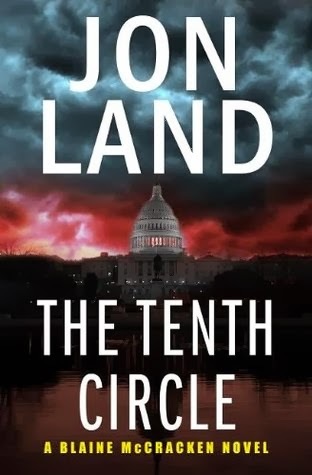 This was my first Jon Land book and my first Blaine McCracken book, so I am still debating about trying another.